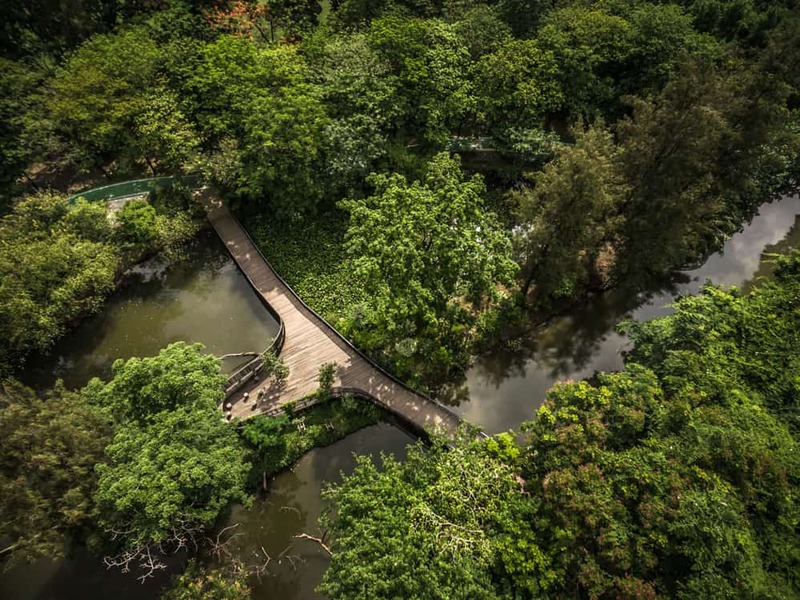 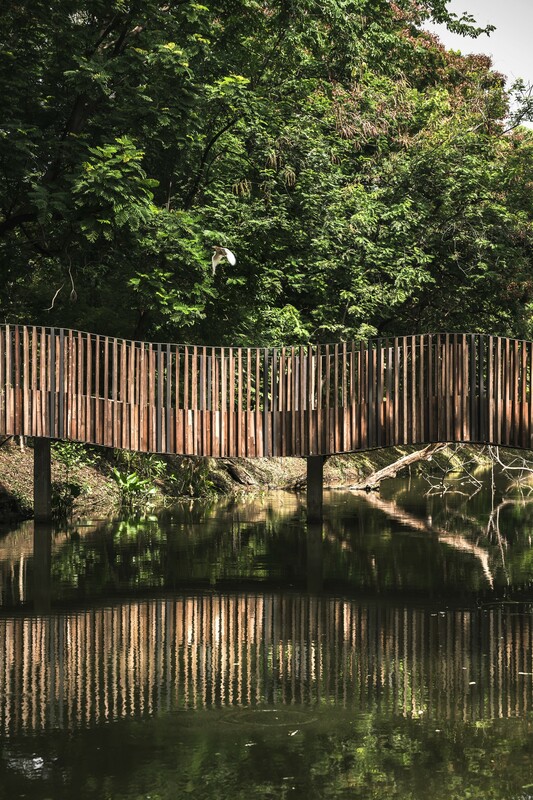 The Bird Wave Bridge, a 50 metre long pedestrian bridge crossing small watercourse from Rotfai Park to H.M. Queen Sirikit Park at the Northern part of Bangkok aims to bridge not only the physical gaps but also the public projects’ complicated process and general perceptions of urban parks. 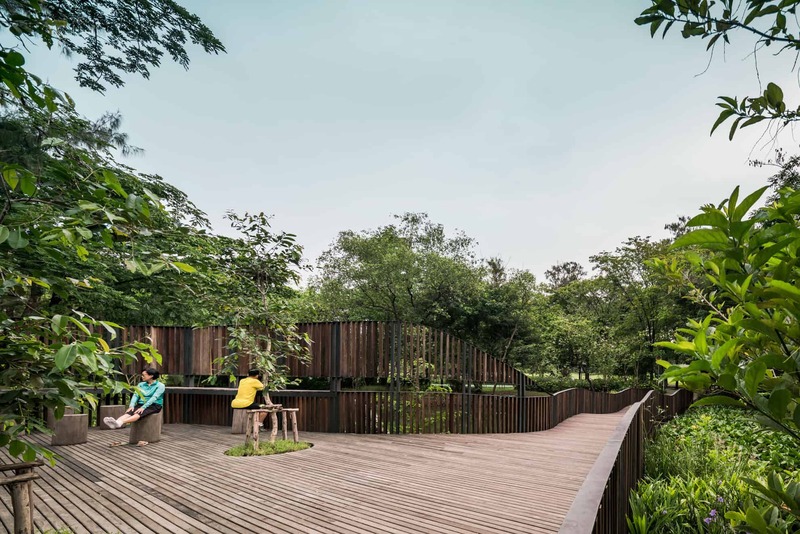 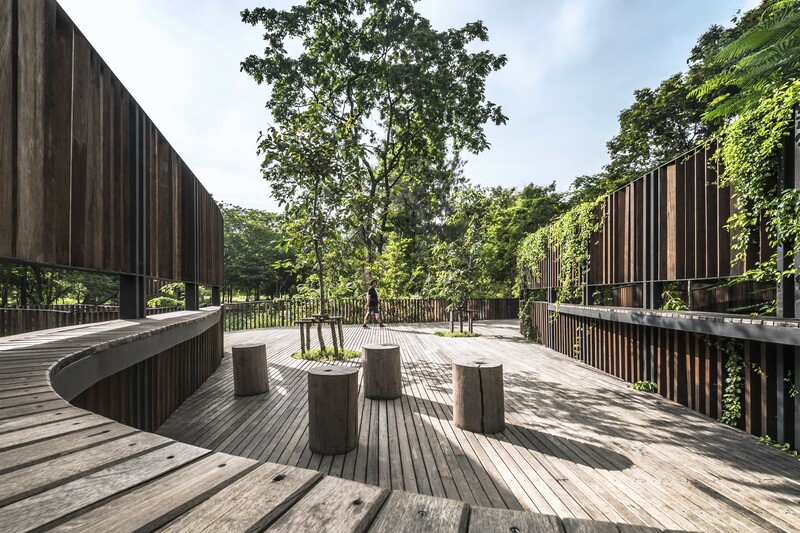 The landscape architect proposed this minimal intervention to the director board of H.M. Queen Sirikit Park in 2014 as a ‘trial’ connection to enable real use if the parks are to be combined. 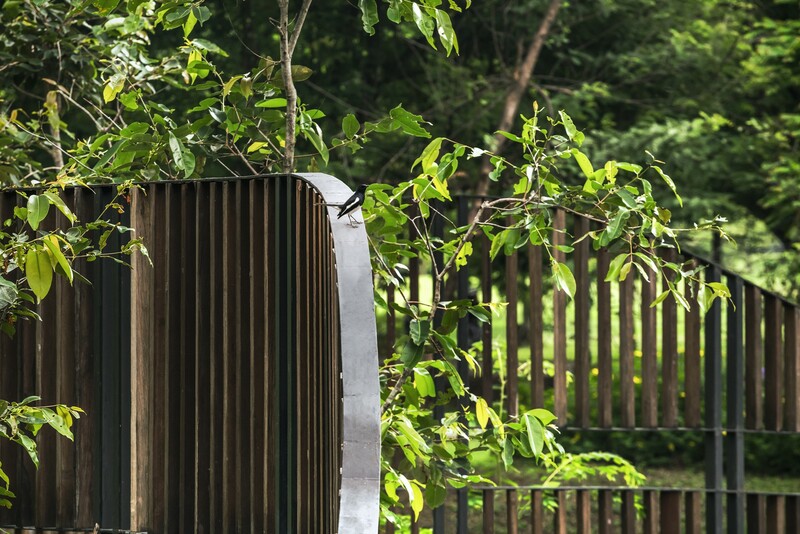 The name ‘Bird Wave’ tributes to its appearance as well as the surroundings in which it is situated, giving importance to the uses and function of the Bird Sanctuary and gently introducing the different kind of public green space where biodiversity can coexist with urban environment. 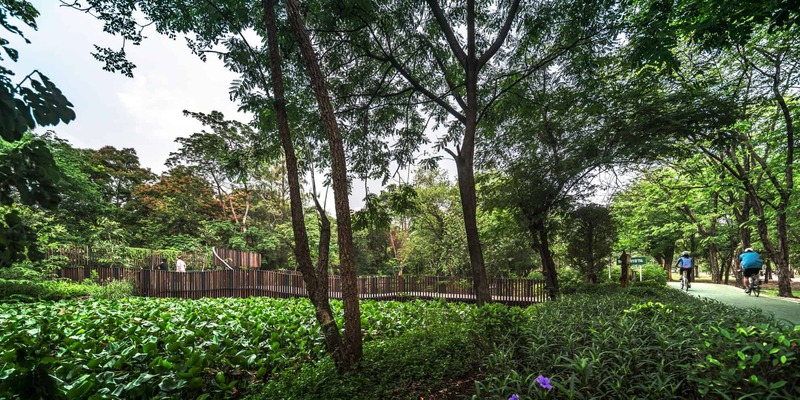 The bridge is primarily constructed with 3 materials; reinforced concrete for the footing and column, black painted steel for above ground structure and weathered timber for flooring and railing. 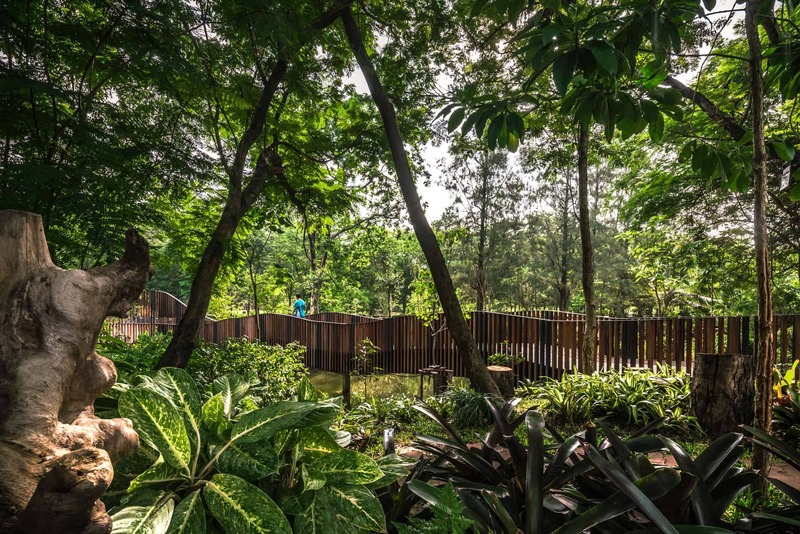 The surrounding landscape which was affected by construction was re-designed in consultation with The Bird Conservation Society of Thailand to increase suitable living condition for small animals, banks were gently sloped into the water to provide feeding and refuging environment and various flowering shrubs and trees were planted to protect slope and attract insects. 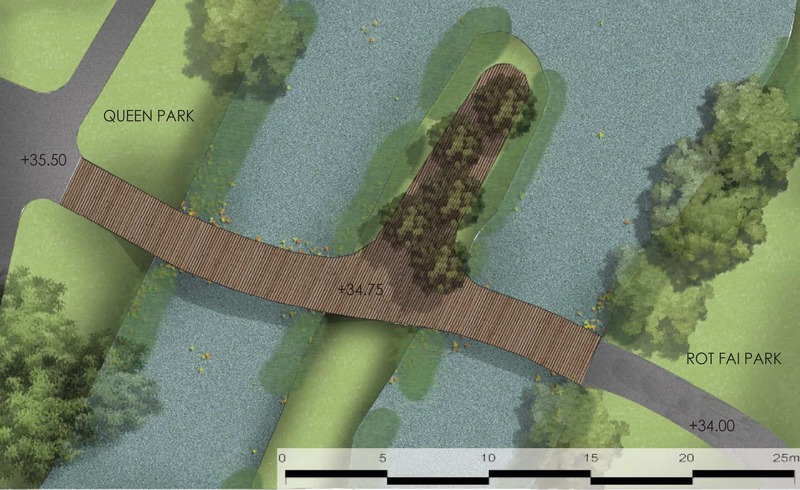 The next step to fully complete the project is fund raising to provide interpretive signage. 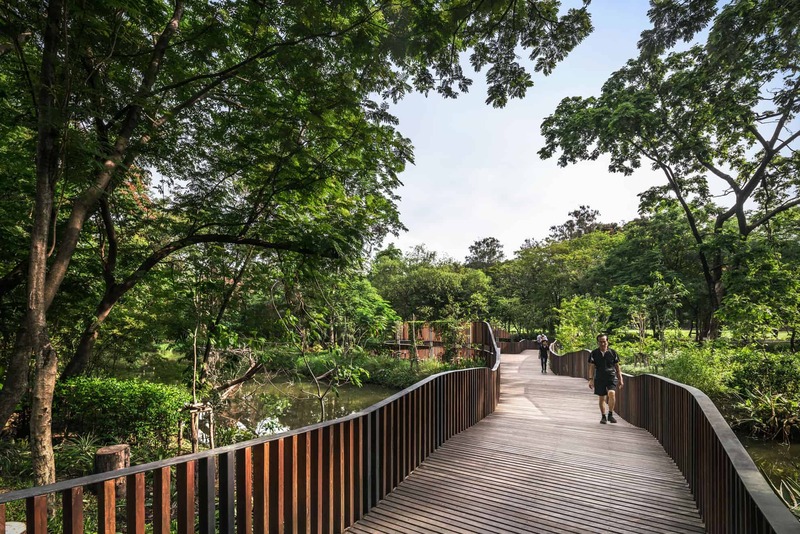 Even though the bridge is achieving its purpose to connect two parks and attract more users, but only time will tell whether or not its humble goals to bring to public’s attention the other possible forms of public parks and to convey the idea of direct solution approach to the complicated public projects can be reached.